It has been a good week for those who want to see a soft Brexit with a frictionless border between this republic and Northern Ireland and good relations between the UK and the EU maintained. 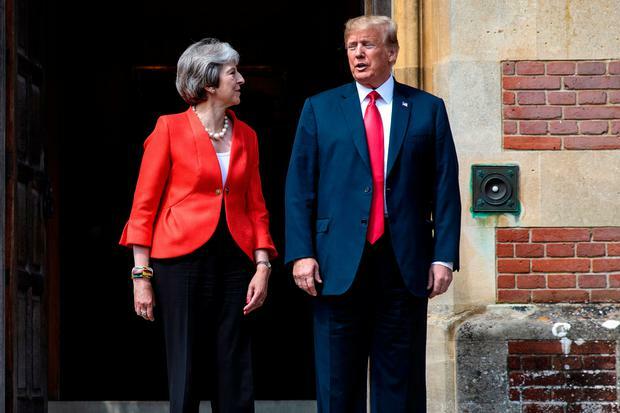 The authority of the British Prime Minister, Theresa May, has been strengthened, notwithstanding the resignations of two Cabinet members, David Davis and Boris Johnson, and US President Donald Trump’s antics. The full reaction to the British government’s Brexit White Paper will only emerge in the coming days after all concerned have had a chance to study its 100-page content. The EU’s main negotiator, Michel Barnier, who resumes talks with British officials tomorrow, was understandably cautious and reiterated the community’s desire to stand by the “four freedoms” of movement of people, of goods, of services and of capital. The Taoiseach, Leo Varadkar, who is spending the weekend studying the document, sounded just the right note when he welcomed Mrs May’s proposals and accepted that the UK was “able to relax its position regarding some of its red line issues”. In return he suggested that the EU could also now be flexible in the negotiations that still have a long way to go. The Minister for Foreign Affairs, Simon Coveney, was also on the right track, recognising that there is now a clear negotiating position from Britain which is a step towards a much softer Brexit than had been spoken of previously. At the same time it is prudent to be prepared for a hard Brexit in case talks fail. Editorial We will know more detail when the British government finally publishes its White Paper on Brexit later this week, but what has emerged from last Friday’s meeting of Theresa May’s cabinet is encouraging. Editorial European leaders have hailed decisions reached in marathon talks last week as a breakthrough in solving the “migration crisis” which has engulfed the continent. While some progress has been made, many issues remain outstanding, particularly the controversial question of refugee quotas.